Dump pouches are one of those things that don’t seem necessary at the time, but when you’ve got one… you constantly use it. While many people think dump pouches are primarily for stowing empty magazines, most of the time they’re used for all sorts of other things. Full mags. Drinks. Snacks. Tape. Sharpies. Souvenirs. Evidence. Etc. When we started designing this pouch, we didn’t just want to make another dump pouch. We wanted to improve upon the idea of a dump pouch. Made in the USA. First off, we went with velcro attachment. 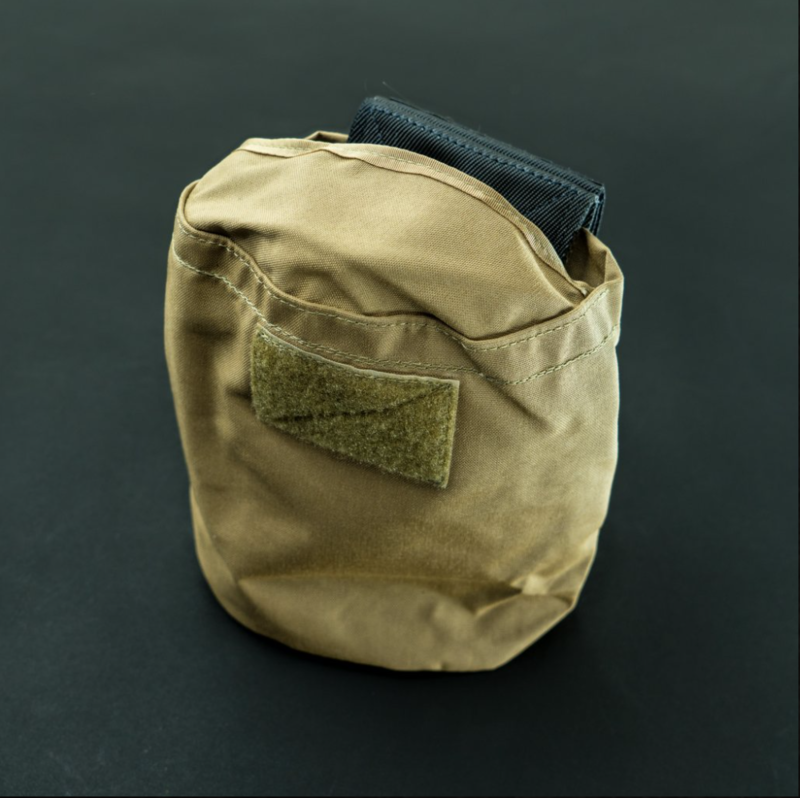 Rather than attach the pouch to MOLLE, you simply velcro the pouch around the entire belt. Since the velcro attachment breaks down, you don’t have to remove all your equipment on the belt to slide the pouch on. Simply velcro it on and you’re good to go. We also went with 4″ fabric for better weight distribution. Most pouches use 3″ spacing to attach the pouch to the belt. A​​​​​​​t the bottom of the pouch are two loops. These are for threading the included shockcord thigh strap through. Now, you’re probably wondering why on earth you’d want a thigh strap for a dump pouch. Well… when you’ve got a fully-loaded dump pouch, the last thing you want is the entire pouch jumping all around when you’re sprinting or doing other rigorous activities. Tying the pouch to your leg means it is more stable to your body, preventing it from having a mind of its own.